Target has evolved since our first Finders Series on the podcast, but still remains a retailer clouded in Funko Pop! conspiracies. From theories of employees hiding pop to lost shipments, Target often receives an unwarranted bad rap from collectors. However, Target employees are now well aware of the craziness of collectors, become familiar with the product, and improved their box cutter skills. 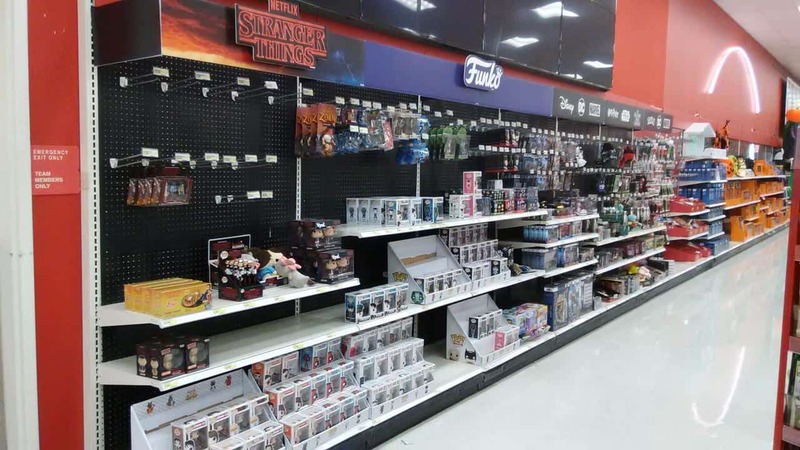 Target continues to be awarded with more sought after Funko exclusive products and have made significant strides in offering collectors multiple avenues to finding exclusives. Exclusives are generally better than other stores, appeal more to collectors and better selection of characters. Best and only selection of 10’ Pop! Product is very easy to locate. However, Target should reconsider refining their collectables section. Improved product availability with both online and in store sales, thus allowing collectors more opportunities to locate product. BrickSeek’s accuracy has improved. However, there are times when inventory is showing in stock when products haven’t been unloaded from the delivery truck. Boxes are often damaged mainly due to the large size of shipments and how they are often lumped in with electronics and other stock. Employee are more familiar with the product, however they still tend to damage pops when opening boxes, especially 10” Pop! Communication to collectors is often confusing on product releases. Funko Fridays Forever Funko Fridays did an excellent job of letting collectors know what was releasing. Target should consider returning Funko Fridays to promoting a more consistent release schedule. 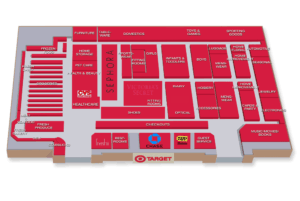 Target has made strides to make products available online and in store, expanded their exclusive lineups, and employees have seen so much of collectors they are VERY familiar with the product. However, conspiracies continue to grow as well, and with employees more familiar with the product can translate into internal scalping. Our revisited rating has improved from a 5 to a 6.5 out of 10. 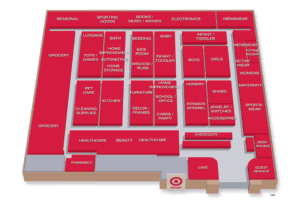 You may find older layouts if you are in a smaller town, but most Targets have remodeled and Funko / collectables section is located in the Electronics section. Some Targets will place Pops! in the toy sections beside toys of the same genre. IE Marvel Pop! in the Marvel toys section, or Five Nights at Freddy’s in the same section. Some Target stores that haven’t been remodeled there is a dedicated section located on an endcap in toys section. Consider getting a Red Card. You don’t have to apply for a credit card but you can link a Red Debit Card to your checking account. This still qualifies you for all Red Card exclusives. HUNTING TIP: Stores often keep highly collectable pieces at the electronics counter because skilled collectors / flippers know when they are releasing. Always check behind the electronics counter for a box labeled with a Funko marking. HUNTING TIP: Use BrickSeek with a product’s DCPI. However, stores may have a product display as “in stock” but still be on a delivery truck, inventory updates when they scan the delivery trucks list into the store. This does not mean it’s on store shelve yet. HUNTING TIP: Know all your store’s truck delivery schedule to anticipate deliveries. Once you begin to see local stores receiving product other stores are sure to follow. Most stores do not follow the same delivery schedule just ask an employee what days they receive trucks. HUNTING TIP: Trucks aren’t always scanned / unloaded first thing in the morning so check BrickSeek throughout the day. Many stores have different scheduled offloading times and it’s best to get updates pushed from BrickSeek if possible. HUNTING TIP: Know your local store hours. Hours vary from store to store so knowing this will position you for a successful early morning hunt. In the toys section there is a clearance shelf often located on an endcap (at the end of an aisle). 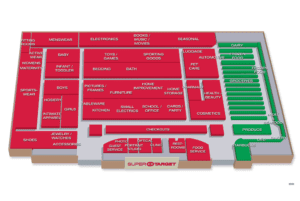 Most toys and pops placed on clearance are located here. In the electronics section – Sometimes Pops are labeled with clearance stickers and remain on their original Funko shelves – these items are often pops marked down too soon. Red Card holders – you can apply for a red card credit card or a debit card that links to your bank account either way there are exlusives offered to red card holders (Red storm trooper) and at least a 5% discount everyday, but it is often raised for special sales events.